Well, now CMS has determined how it’s going to pay for Yescarta, and its decision may not do much to help Gilead spur sales of the product. CMS will pay $395,380 for Yescarta when it’s used on an outpatient basis, with a minimum co-payment charged to patients of $79,076, a spokesperson for the agency confirmed in an email to FiercePharma. The out-of-pocket burden won’t be that high—it is capped under law at the inpatient deductible amount, plus the Part B deductible if that has not yet been met. Yescarta still has the chance to save lives and become the breakthrough we once thought. Its success could be delayed, however. I will explain below. Kite’s breakthrough therapy helps patients fight cancer by harnessing the power of their immune systems. 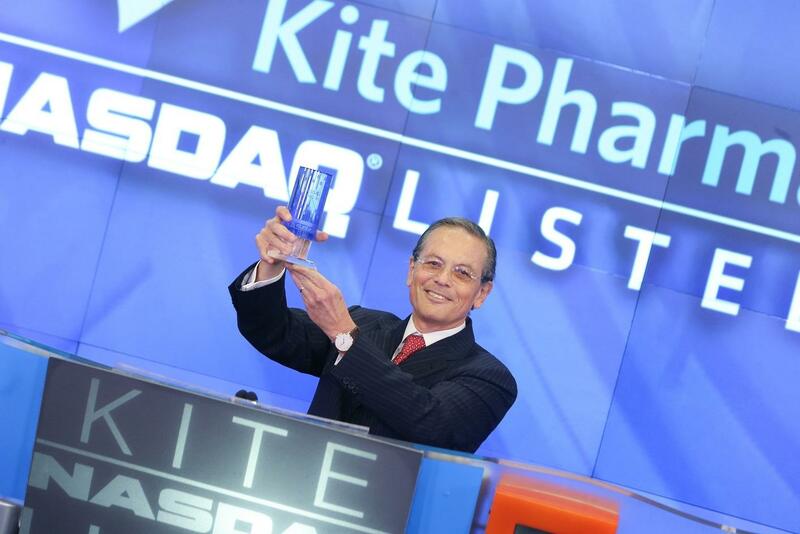 Kite received FDA approval for Yescarta, which treats B-cell non-Hodgkin lymphoma, within months of the deal. Centers for Medicare & Medicaid Services (“CMS”) indicated it would pay the full price of $395,380 for Yescarta when used on an outpatient basis, with a minimum co-payment of around $79,000. Compared to the $94,000 initial cost for Gilead’s HCV blockbuster Harvoni, a $79,000 co-pay appears in the range for a breakthrough drug. Secondly, Yescarta is expected to be used for the most critical care cancer patients for whom other treatments may not have worked. The rub is that for patients who receive Yescarta treatment in the hospital the cost could run as high as $1 million. I would imagine it would be prudent for patients, Gilead and the healthcare community to have initial treatments done in the hospital to monitor any potential dangerous side effects. There would be a limited number of people who could afford this high cost; the number of patients Gilead could treat initially would then be limited and so would Yescarta revenue. Per Cowen up to 5,300 relapsed/refractory patients would be candidates to be treated by Kite’s Yescarta. Gilead was anticipated to treat bout 1,000 patients in 2018, which could have equated to over $350 million in revenue. Given new information from CMS that figure seems extremely high. The 5,300 relapsed/refractory patients that could have equated generated peak revenue of over $2 billion also appears overstated. The number of patients that can be realistically treated at CMS’s $1 million cost estimate needs to be firmed up by Gilead’s management. In an effort to ease the cost burden for hospitals, Gilead has filed for a new technology add-on payment (NASDAQ:NTAP), which the agency sometimes provides for new treatments that are deemed to be breakthroughs. Novartis, which launched its $475,000 CAR-T Kymriah last year, has also requested the additional CMS reimbursement for inpatient treatments. Given the potential for Yescarta to save lives the treatment could meet the requirements for NTAP, which could reduce the costs for the treatment. Not only could NTAP reduce costs, but CMS could also serve as a model for how private insurers reimburse new treatments. Until CMS decides Gilead’s NTAP filing new treatments for Yescarta could be in a holding pattern. That does not bode well for Gilead. Its Kite deal was a masterstroke because of the technology the company acquired, and the fact that it received FDA approval shortly after the deal was approved. The first to market advantage it and Novartis enjoyed could have been insurmountable. Since, Celgene (CELG) has acquired Juno Therapeutics (JUNO), and announced a strategic partnership with BlueBird Bio (BLUE) in the area of CAR-T therapy. The longer it takes for CMS to make Yescarta more affordable the more Gilead’s first to market advantage dissipates. Pursuant to Yescarta it could be prudent to move previous estimates for the treatment out a year. For instance, if 1,000 people were expected to be treated in 2018 then the expectation could extend into 2019. Gilead’s HCV revenue is continues to run off. Total Q4 2017 revenue was down 9% sequentially, while HCV fell 36%. HCV has an annual run-rate of $5.3 billion in revenue. Even at peak sales of about $2 billion Yescarta would not be able to replace lost HCV revenue. The company has $37 billion of cash on hand. It can use this as a currency to make future acquisitions to offset the HCV run-off. If financial markets continue to decline Gilead’s cash has more value and its buying power increases. GILD is up over 13% Y/Y, despite its massive earnings slide. Earnings will likely slide further as Q4 EBITDA margins fell to 45% when they had been above 60% historically. If financial markets falter then GILD could be a long-term by and hold play. For now sell the stock. Disclosure: I am/we are short CELG.